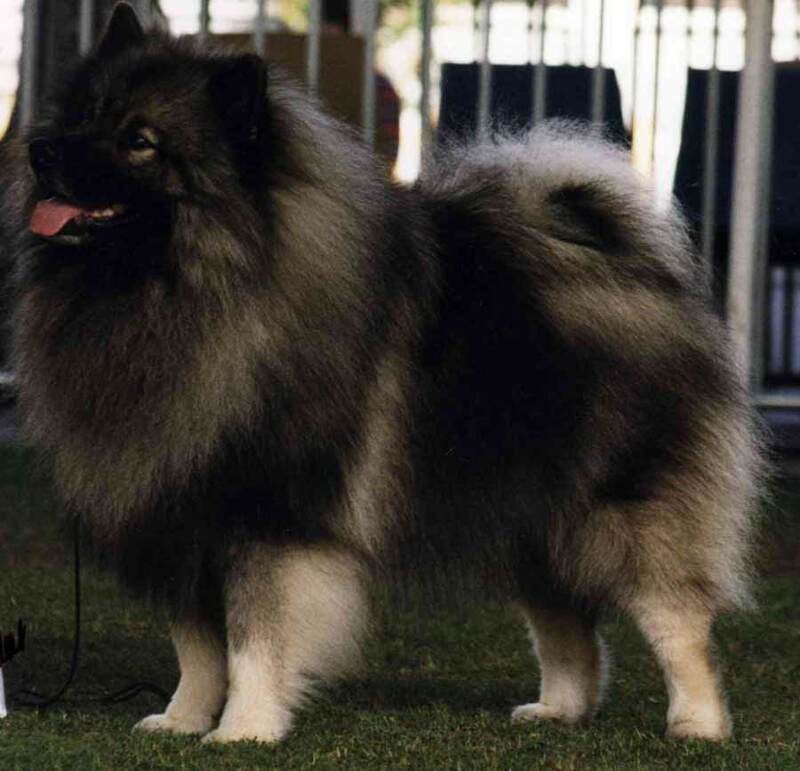 Chinese Foo Dog is an old spitz-type breed that is probably a descendant of Chow Chows crossed with Northern European hunting dogs. History shows that the Tong, a Chinese association or fraternity, believed the Chinese Foo Dog would bring them luck, and so they kept and bred the dogs. The breed evolved into a versatile utility dog that could hunt, herd, carry packs, pull, and guard. The Chinese Foo Dog is found in three sizes: toy Chinese Foo Dog (10 inches or less), miniature Chinese Foo Dog (over 10 inches up to and including 15), and standard Chinese Foo Dog (over 15 inches). The Chinese Foo Dog breed can also be classified by weight, with small dogs weighing up to 20 pounds, medium dogs weighing 21 to 50 pounds, and large dogs weighing over 50 pounds. A typical Nordic-type dog, the head is broad, the ears are upright, and the eyes are dark. These dogs often have a dark blue tongue. The tail is set high and curled over the back. Some breeders dock the tail. The Chinese Foo Dog coat is double, with a thick, dense undercoat and an outer coat that is hard and stands away from the body. With the heavy coat, grooming is very much a part of life with these dogs. This breed needs brushing at least twice a week, although when the heavy undercoat is shed, daily brushing will help keep the hair in the house somewhat under control. Foo Dogs are moderately active. They enjoy a walk morning and evening and can be quite playful. Chinese Foo Dogs are appealing to the sense of humor and continue to be playful on into adulthood. One of the original uses of Chinese Foo Dog is as guard dogs, and the breed continues to be wary of strangers. However, unlike some other watchful breeds, this one does not bark unless there is a reason to do so. Early socialization and training is important, and teaching the dog to accept regular grooming should be a part of that. The Chinese Foo Dog is an affectionate, intelligent, playful breed. They are good with well-behaved children but will not tolerate disrespectful behavior. The breed is good with other dogs, although interactions with other pets should be supervised. This is a healthy breed with few problems. Share your Chinese Foo Dog story. Note: Upload only Chinese Foo Dog picture or your picture with Chinese Foo Dog below - spammer's ip may be blocked.